Leia has been around this car for as long as she can remember. She is excited to get the car back on the road and drive it now that her feet can reach the pedals. Some Rocky Mountain Packard Club Members may recognize the hat. 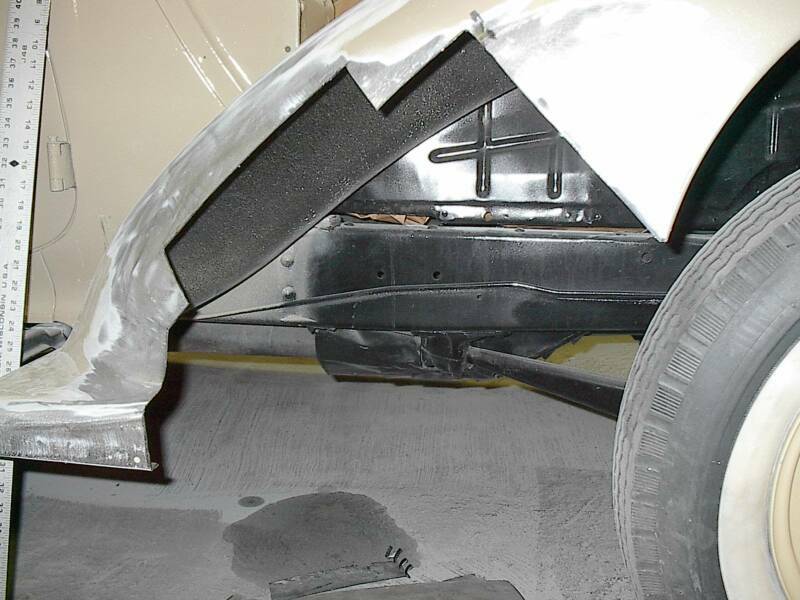 A new piece is fabricated and tack welded in place before getting some alignment with the rest of the car, then the piece is seam welded then ground prepared for paint. Underneath the paint the metal on the front fender had thinned out so badly it needed to be cut away. 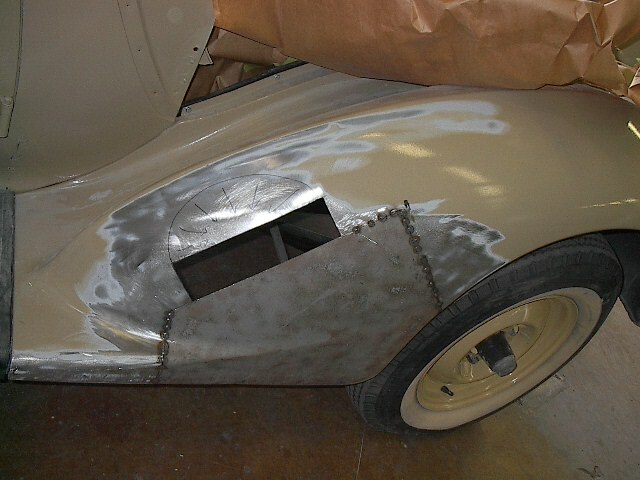 This fender had some rot and so the bad part of the metal is cut away to make room for a good piece. 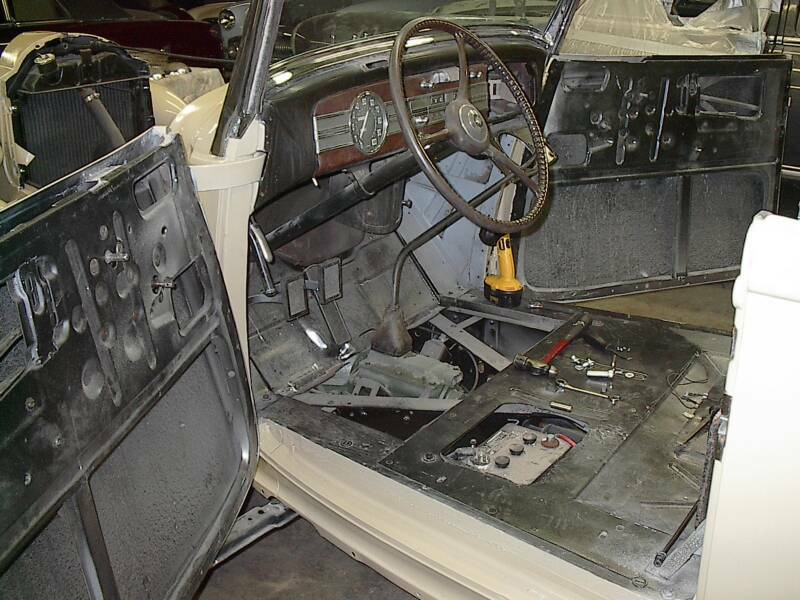 A shot of the inside of the car after the seat was removed. 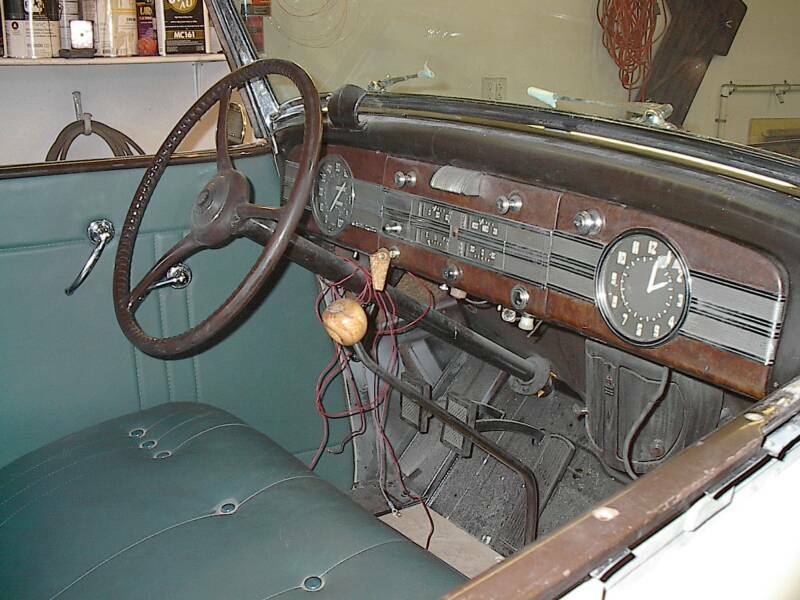 It is significant that this car has all original frame wood. 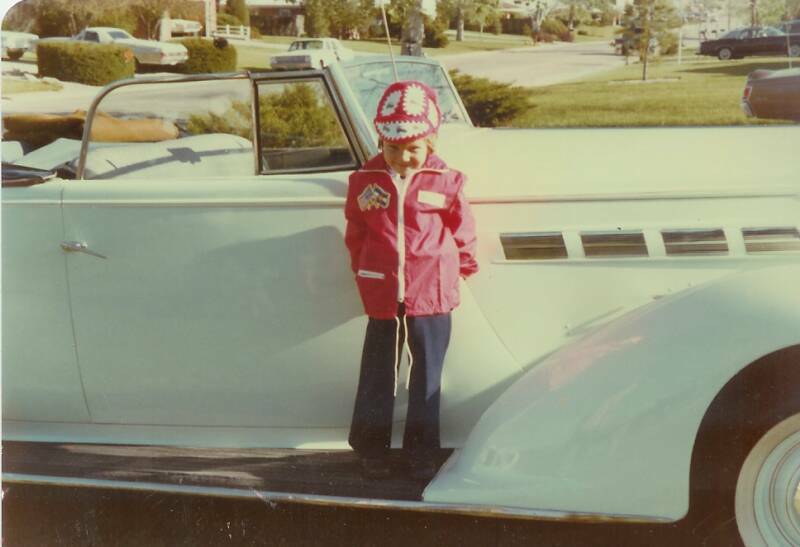 Leia recalls riding around in this car when she was a little girl. 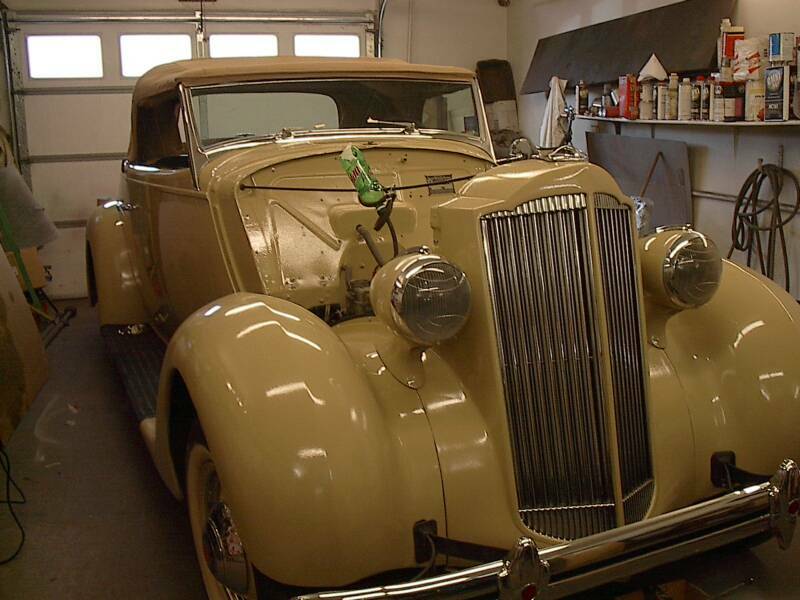 At the time, the rumble seat was her place to ride. 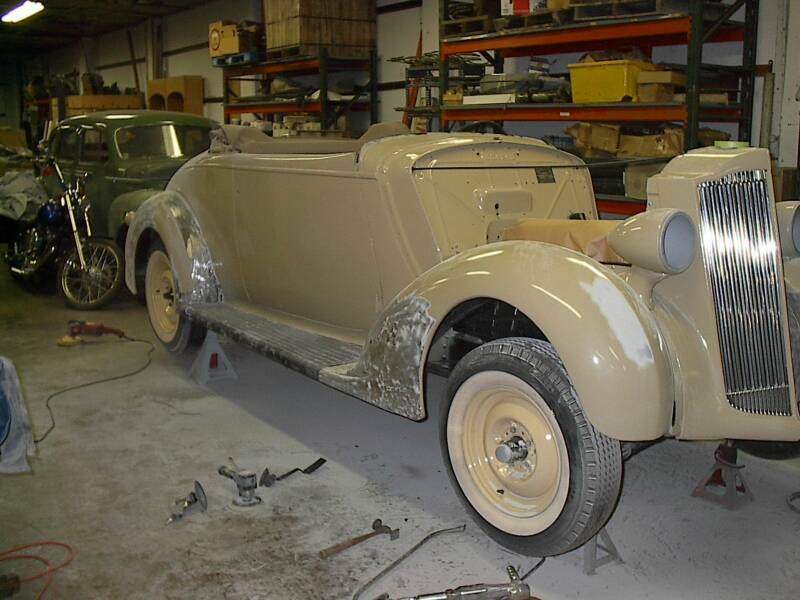 However, after a careful restoration she will get behind the wheel and enjoy the car in a whole new way.